A 200 hour Yoga Teacher Training Program that you can use right out of "The Box". Created for Yoga studios to grow their team and their income - are you ready to start teaching your next teachers? Studios need an endless supply of teachers, but you want great ones! You can teacher the teachers that will be in your studio, growing your studio! When a class isn’t being taught, there is no income. Yoga Teacher Training Programs can infuse income into your yoga studio, in this downtime. The Return on Investment (ROI) is very simple. Yoga studio charges for teacher training programs are easily listed above $3000 for a 200hr course, per student. The Ashtangasana Yoga Teacher Training Curriculum Program at the first level program costs $2999, for the studio. If your program charges $3000 per student, which includes the student and asana manuals. Simple math shows a complete payback just after first student, committing to the very basic Jhana program. Every student, thereafter is complete profit! And every subsequent teacher training is profit, minus text book fee for each student. 4 students at $3000 for your yoga studio training. $12,000 – $3,250 = $8,750 profit your first class! This is the base level. 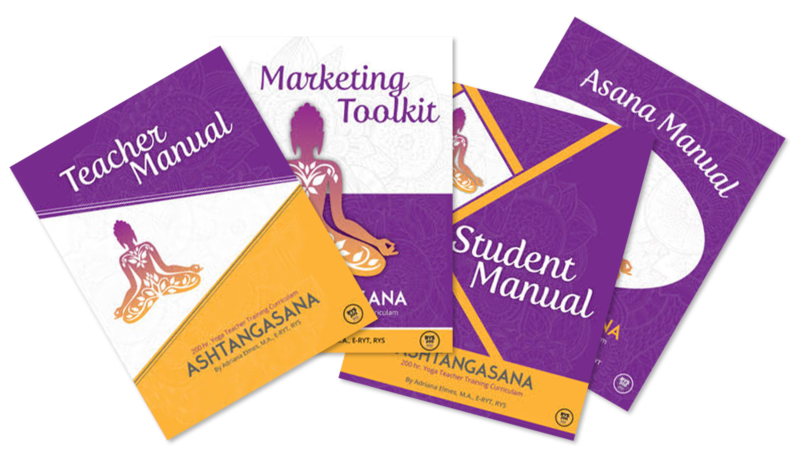 Provided is one Teacher Training Manual and 3 Student Manuals, 3 Asana Manuals, Marketing Toolkit, and all supporting documents. 3 – 30 minute consult calls. This level provides everything in the Hatha Level plus 3 hrs of video sessions with Adriana Elmes. Typically covered are program introductions, Yoga history or discussions of various Yoga disciplines. The Raja Level provides the Teacher with field support and the opportunity to use an outside resource. This level provides everything in the Raja Level plus a weekend of personal support by Adriana. This program is made for the larger programs that attract 6 or more students in a single class. 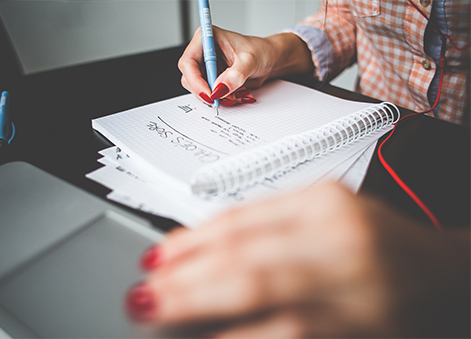 Sign up below to receive a sample section of our student training manual. See if it suits your style, is easy to read and if you want to purchase the full package! or contact us to purchase now.